Tablet devices have drastically changed the way people browse the internet and view streaming media, allowing them to make use of online services wherever they are. The Apple iPad is an extremely popular tablet device, which lets users stream video content from services like Netflix. However, the Netflix service is currently only available to people living in certain regions. Additionally, the content library varies from region to region, but customers are unable to manually switch their regions, as Netflix automatically detects where they are based on their internet settings. Fortunately, there are a number of ways of circumventing this blocking process, enabling users from all around the world to access Netflix and allowing existing customers to significantly expand the range of content available to them. The most popular option Netflix customers have is to make use of a Virtual Private Network service. VPNs work by encrypting a user’s internet traffic and tunnelling it to a server located in another part of the world. They are also allocated a new IP address in the process. This keeps the user’s internet connection secure and gives the illusion that their connection is originating from the location of the server. VPN products offer a number of security and privacy benefits that Smart DNS cannot provide. In addition, all internet traffic is encrypted, whereas Smart DNS only affects traffic to supported websites and services. However, VPNs can result in a significant reduction in internet speeds and they tend to be more expensive. Prior to subscribing to a Virtual Private Network service, it is important for customers to check that the VPN provider they have chosen offers support for the iPad and for the Netflix region(s) they wish to access. Thankfully, most services now supply client software which is compatible with the iOS operating system, making the setup process relatively simple. Setup tutorials can be found on the individual VPN providers’ websites and the installation process may vary from product to product. Examples of VPN services which offer comprehensive iPad support include ExpressVPN IPad, ibVPN IPad, IPVanish for IPad, HideMyAss on IPad and PureVPN with its great IPad App, although numerous others are available. Another great method of unblocking Netflix on an iPad comes from Smart DNS services, such as Unblock-Us, Unlocator and Overplay. 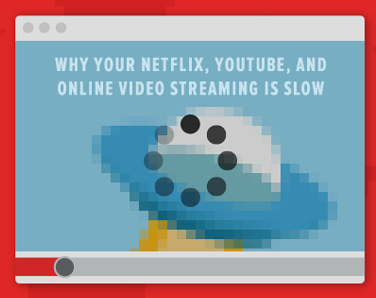 Smart DNS technology is ideal for use with Netflix and other streaming media services, as unlike other methods of unblocking geographically restricted content, it does not cause internet connections to slow down. Services work by re-routing a user’s DNS queries to a server based somewhere else in the world, making it appear as if the user’s traffic is originating from that server. For example, if a server is based in the United States, the internet traffic will seem to be originating from the US, so Netflix will detect that information. As a result, the US content library will be automatically made available. Most Smart DNS services offer a range of DNS settings for different countries around the world, granting customers the ability to switch between Netflix regions easily. Additionally, the technology only impacts the websites and services supported by the individual Smart DNS provider. Other browsing is completely unaffected, meaning that emails or other website visits are not re-routed through an external server and remain secure. On the device, go to Settings and click on Wi-Fi. Click on the network you are currently connected to. Select the DNS field and enter the DNS settings provided by your Smart DNS service. After restarting, the Smart DNS service should be in operation. Smart DNS providers will offer their own individual instructions on how to switch between regions. The next time a user loads Netflix, they should have access to the content library of the region they selected through their Smart DNS service. On www.bestsmartdns.net youll find a comparison of iPad & iPhone SmartDNS.